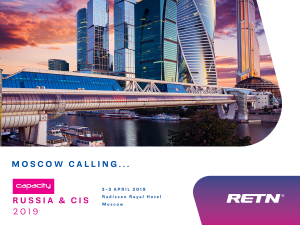 Capacity Russia & CIS 2019 in Moscow, Russia. Global Peering Forum (GPF 14) in Montréal, Québec, Canada. If you want to meet us there, just drop a line at market@retn.net or contact our delegates personally.